There are a lot of complex brew guides out there. This world champion’s recipe, however, is incredibly easy to follow. It’s funny how certain countries or regions seem to be dominating coffee in turns. A little bit like in soccer, where Brazil will be number one for a decade, before handing over the throne to Spain. 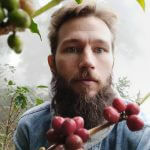 It looks like we’re about to witness such a change in specialty coffee as well. After many years in the shadows, the recent winners of a lot of the biggest coffee competitions in the world have hailed from Asia. Last year this trend continued, and we saw Chad Wang from Taiwan win the World Brewers Cup. In 2016 Berg Wu, also from Taiwan, won the World Barista Championship. I went to the tiny island last year, and honestly, I was blown away by the sheer amount of world-class beans and coffee shops over there. The dedication of the local coffee people is astounding. I predict we’ll see many more great performances, like the one by Chad, in the next years to come. 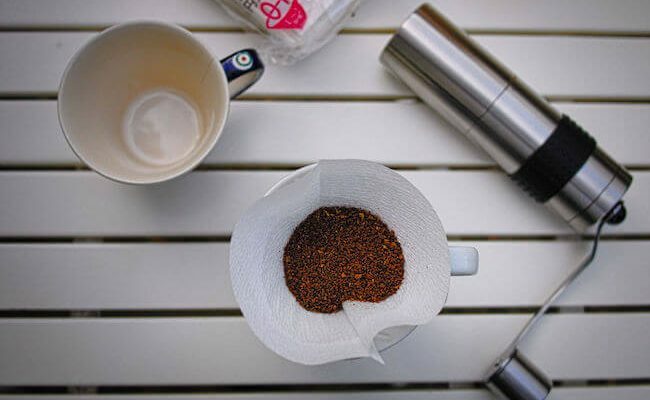 If you have been brewing on a Hario V60 for a while, you know that the ‘regular’ recipe with slow spiral pouring produces a great cup with lots of flavor and acidity. This recipe is totally different, and in facts, it’s deceptively simple. I have tried to follow it a number of times but frankly, I don’t get that amazing results out of it. But if you wanna try, please test and leave a comment below. Pre-infusion 30 grams of water for 30 seconds. After pre-infusion pour the rest of the water straight in the center.